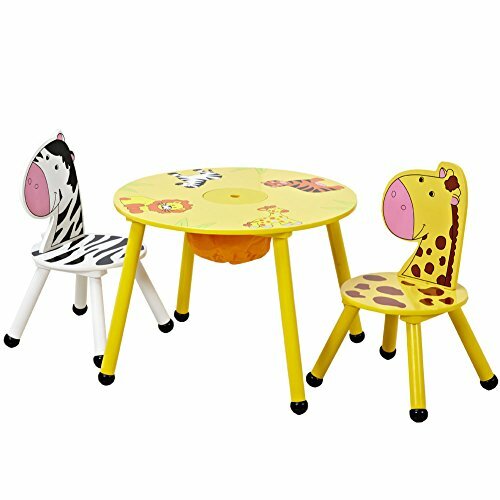 Table and 2 chairs set Create a space for crafts, snack time, tea parties and more with a play table and chair set that is the perfect size for your child. With convenient built-in storage in the center of the table, this set is great for coloring, playtime, and many more activities - even snack time! High Quality: Constructed from strong and sturdy wood. Table with Storage: With convenient built-in storage in the center of the table, this set is great for coloring, playtime, and many more activities - even snack time!